Definitely think you should give leptocheilos a go sometime Mark. I have marginal Dypsis and they are much more challenging than leptocheilos. Good thing is that they are readily available up north so I would recommend growing up your other things for a few years so that they create more protection then get a reasonable sized one and put it in a sheltered spot. As you saw that little one of mine didn't look too worried about two winters. Id like to give a D. leptochelios X decaryi a go down here in Vicco, I've grown them before in QLD and like most palm hybrids for some reason they seem to grow faster, and you would imagine with the D. decaryi DNA they would be more cold hardy than a pure redneck. They don't come around that often though and they and when they do they are normally very small, but you could grow one in a pot as a feature plant until they got too a decent size then plant it out. I agree with the hybrid idea-it would grow much more strongly- hybrid vigour is what this phenomenon is usually referred to as. Another good example is Foxy Lady which is noticeably hardier than both a Foxtail and a Veitchia here. I dont like hybrids so haven't grown either. Where on Phillip Island are you? Some spots on Phillip Island like Rhyll are quite protected and warm. I would imagine that leptocheilos would be worth a try there especially a larger one. What is the most cold sensitive palm you have there? Cape Woolamai, less than a kilometre to open ocean one way and less than a kilometre to bay the other so cold winds can be a problem plus my soil holds a lot of water and the water table gets very high in winter, yes I agree Cowes and Rhyll have areas that are much warmer generally because they a protected from cold West-South west winds, I've seen the odd marginal type palm growing fine in these areas like triangles and bizzies. I think there is so many factors to cold damage etc, like size and health of the plant, how long it's been in Victoria, then how long it's been in the ground, then also things like moisture levels of the soil, obviously cold and very wet is worse than dryish soil and wet. To be honest i would never bother with a D. leptocheilos or other marginal palms like a foxtail etc as even if it did survive and got to a decent size, the cold winds would make them look ratty, id rather grow more cold tolerant palms that are going to look a bit better. Plus although our lows are generally not that low, we also don't have as much heat as inland suburbs of Melbourne, IMO heat is just as important as lows. But i think a triangle X redneck could be worth a go just for that little bit more cold tolerance and tend to stay a bit more stumpy for longer like a standard triangle, probably grow it in a big pot for a very long time. 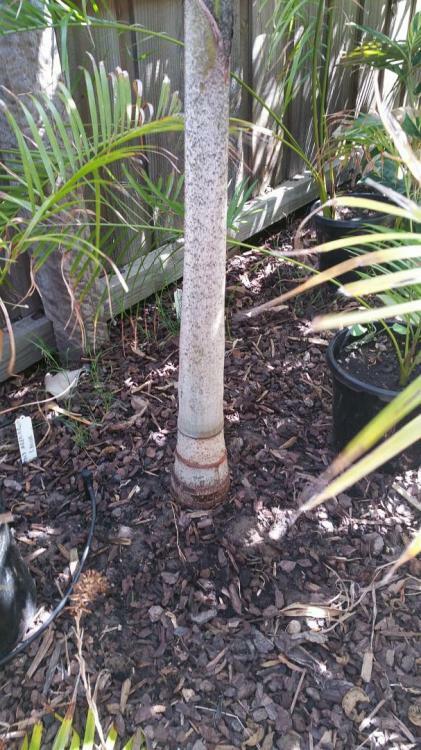 I have a 2 foot tall B. hapala in the ground in Frankston. It is in a very protected spot in full shade and gets no damage and grows quite steadily. 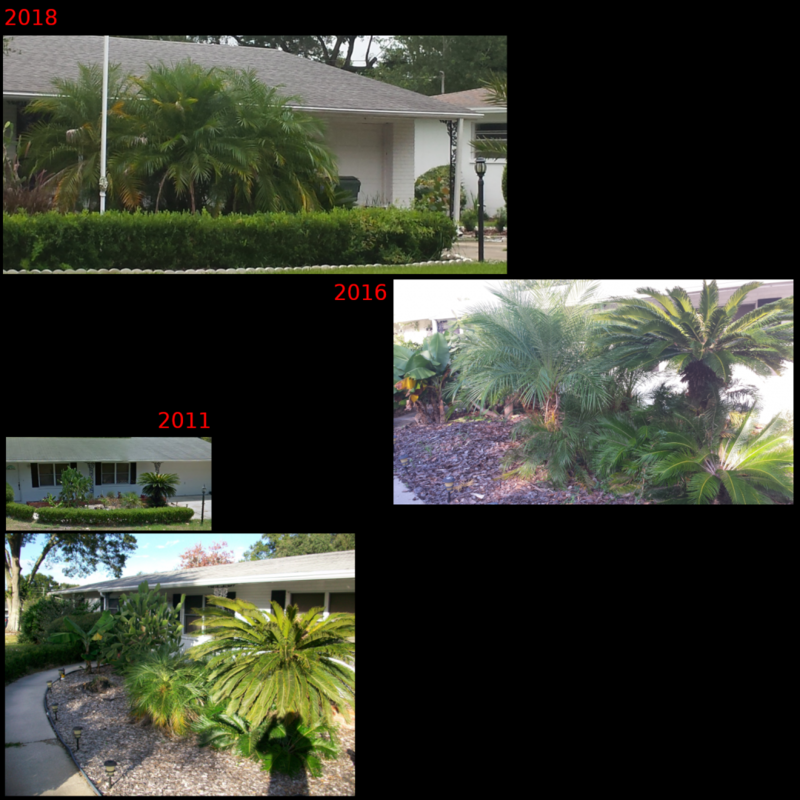 I think burning from sun in summer weakens plants before they get to winter and then winter finishes them off with many marginal palms. I agree that soil is very important. I think sometimes cold is blamed when in fact it was some drainage or nutritional deficiency that made the plants vulnerable in the first place. Heat is very important. I think we are more likely to have success with tropical rainforest marginal plants than hot savannah tropical plants because they may be less reliant on getting very hot temperatures throughout the year but are more demanding that it doesn't get too cold. I am trying to get marginal palms established here by growing them up in 75 L planters in my heated glasshouse. If you are in Melbourne stop by some time. Nice mottling on the crownshaft. My Veitchia joannis has that mottling so its nice to see that aspect of its parentage showing through in the hybrid. Need to put in a Wodyetia now Mark. Bunnings have good size ones here. Chuck some of that plastic you posted around it in winter-she'll be right. My Dypsis leptiocheilos has a second new frond now for the summer. 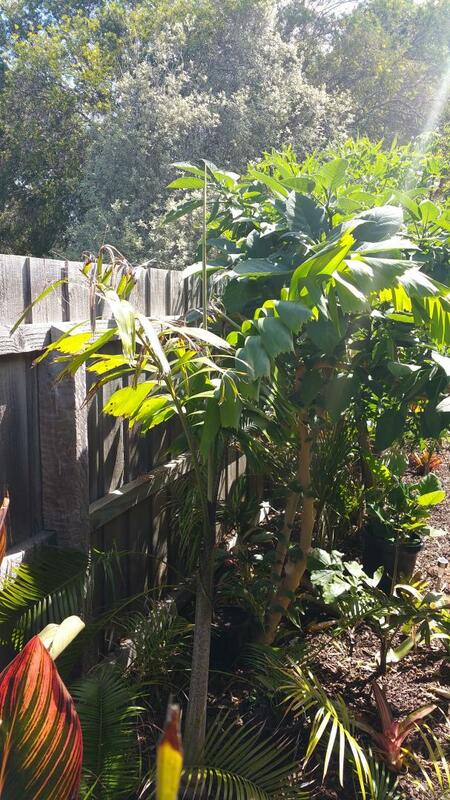 I have been planting some more palms today. Chamaedorea hooperiana x 3, C. nationsiana, C. deckeriana, C. benziei and C. linearis. Next things to go in will probably be a C. brachypoda and a C. stolonifera. I have also been admiring how quickly my tree ferns have been growing this year. My Cyathea robusta is my quickest grower. Quicker than C. cooperi. Do any of the Melbourne palm growers out there have many tree ferns in their yards? 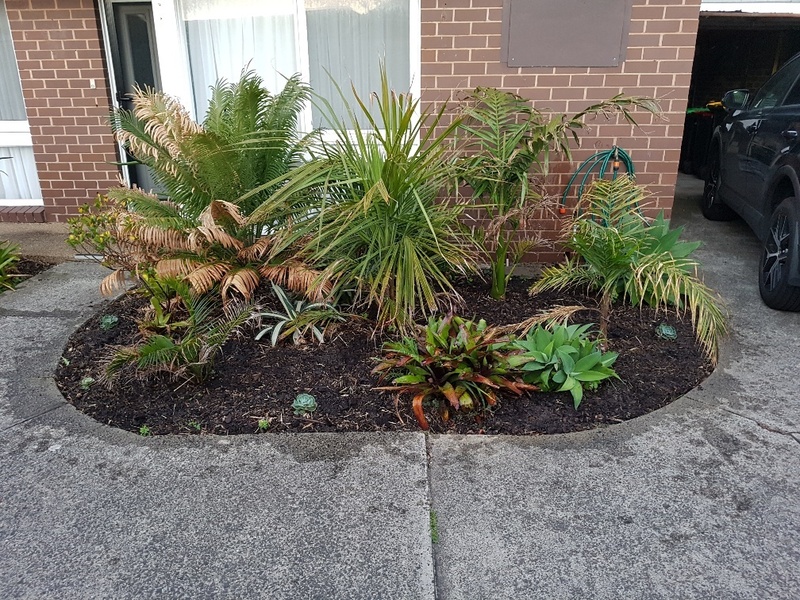 They are a great compliment to palms in sites with a south aspect where it may be a bit cold in winter for palms-tree ferns just love the cool and shade. I've grown some big C robustas, cooperis and browniis at the old garden. Also just planted a C brownii in the new garden. Brownii has been the fastest for me but robusta is my favourite. The bright green fronds and stems set it apart but they can burn in the sun. I did have a woodyetia but it hated the winter and well ended up in the green bin!!! What a magnificent plant that B. pimo is. It will be happiest in the ground. My place didn't get hit too badly this winter, but 2017 was a shocker. You can see the damage on the lower fronds of the Cycas thouarsii, A myolensis and Syagrus sancona in my front garden. From left to right: Dypsis ambositrae, Cycas thouarsii, Beccariophoenix alfredii (bulletproof and fast), Archontophoenix myolensis and Syagrus sancona. Love the discussion in here, I'm getting keen on scoping out what could work in my new home. It's a new build and scheduled to be finished mid-year. I'm not sure how Palmy I want to get, I do love them and definitely want a couple around the garden. I'm building in Truganina, about 24KM west of Melbourne . Not entirely sure what's going to look decent out my way. Ideally to start with I would love to have a feature palm in my front yard, I guess the bottom line is what looks nice in Melbourne in full sun light without getting to scorched in winter & summer? The one Palm that catches my eye is the Butia Capitata, are these very fast growing in Melbourne? What is sold as Butia capitata is actually correctly known as Butia odorata now, but either way it is a great feature palm for Melbourne. In terms of gaining overall size and height it is not fast at all, but when happy they will pump out now fronds quickly and can bulk up quickly. One that we planted at my in-laws place has doubled in size from 1m to 2m tall in the last 3 years, but it’s probably the fastest one I’ve seen. I planted another about 15 years ago that is still only about 2-3m tall. 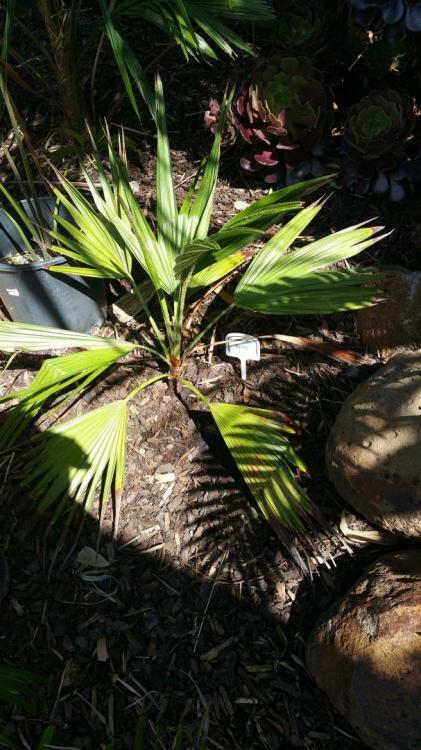 Thanks Tim, do you have any pictures of your Butia Capitata plantings just for reference of a Melbourne example. Any other suggestions as what holds up and looks great in Melbourne all year round? I've noticed a few dwarf date palms quite popular in new housing estates with landscaping here, what are your thoughts on these? I haven’t got any recent photos of the ones I mentioned, I’ll try to take some next time I see them. There are plenty of good examples in gardens all around the city. Ive planted a heap of dwarf dates (Phoenix roebellini) over the years. The are nice looking palms which do well all year round here, but beware of planting too close to pathways, the spines are nasty. Ravenea glauca is a good substitute, nicer looking and without spines. Others I consider good, easy feature palms for here are Jubaea chilensis, torallyi, Beccariophoenix alfredii, Caryota obtusa, Brahea armata and many more Braheas, Livistonas and Sabals if you like fan palms. Thanks Tim, with the dwarf dates how tall do they get generally? I was thinking of using a few as a slight screen for the front bed room window, are they fast growing? Interesting to note I've seen quite a few with curved trunks, is this normal characteristics? They’ll normally get a curved trunk because the trunks are thin with a heavy crown. But this will only be after many years. Expect about 10 years to get clean trunk and even after about 20 years they won’t be much more than 3-4 metres tall. 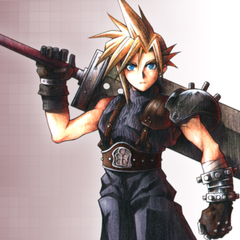 I haven’t seen any get more than about 5-6 metres tall ever. They are a good choice for a window screen, I’ve used them this way before. Thanks Tims, in regards to planting them as a window screen have you run into problems when they get some height hitting the underside of the eaves/roof? They look great when small to medium, I'm also wondering when they start to trunk much of the screening might be lost? Not really an issue with the eaves because there are so slowing growing and the trunk is flexible. You’ll be able to lean it away from the eaves when it approaches them after many years. You will lose that screening effect when you get some clean trunk, but again that’s after a long time. If you want something that will screen indifinitely I’d recommend Dypsis baronii or something like Rhapis excelsa if it’s in shade. They clump so should always have smaller trunks coming up to fill the space. That's a great place for a young Beccariophoenix Alfredii, but maybe only for another 2-3 years. Plan on eventually moving it, because they grow to 30-40 foot diameter and hold leaves out horizontally unless you trim them really aggressively! Regarding the pygmy date palms, they are very slow to gain any height. Here in FL you can buy one with 2 feet of trunk in a triple for around $35-50 and 3-4 feet for $50-100. If you want to screen a window then you probably want to get one close to window height to start with. The fronds are soft and droopy at the tips, so having the tips brush the eaves probably won't damage anything. When mature the head of fronds is about 6-8 feet diameter. If they end up growing too close to the house you could dig a trench through the roots on the "house side" and tilt it away. I transplanted a couple of 8' tall doubles and triples from my neighbor and they just kept growing like nothing happened, so they are pretty tough. Phoenix roebelenii isn't too slow here. Mine are probably 10 feet at the top of the highest frond. Great pictures! It looks like it went from ~1 foot of trunk in 2011 to 5-6 feet of trunk in 2018. My suggestion to Tim was just to get one close to window height to start with, because it takes a while for them to go from "inches of trunk" like they sell them here to "2 feet of trunk" that would start to cover his window. It'll take at least a few months for them to "root in" and really start growing. I put in a pair of doubles at my front walkway in June 2018 and they had "bushed out" a bunch by January but hadn't grown any appreciable height. I'd guess it'll take at least another year before they would be able to shade even a low window. But if Tim starts with a triple that's 3-4 feet total height then he'll probably have at least 5 years of good bedroom window covering before they show too much trunk to be a good privacy screen. Maybe more than 5 years if they are as full and healthy as yours look! I appreciate the compliment. I think one edge that mine had is that the family that had the house before me put one of those small ponds in, but it was busted apart when I got here. Instead of yanking it all out, I built the area up around it and put the pygmies there. The roots can get down through the cracks, but it does tend to hold water a little longer. That might be why they bushed out so fast.